Over 1 million species of insects have been established, but current estimates of total insect diversity vary from 5-80 million different species of insect. Beetles (Coleoptera) make up 40% of described insect species, but some entomologists suggest that flies (Diptera) and Hymenoptera (wasps, bees and ants) could be as diverse or more so. There are approximately 30 recognized orders of insects, but this number changes as entomologists discover, classify, and reclassify current species. All insects belong to the Kingdom Animalia, the Phylum Arthropoda, and the Class Insecta, which is then divided into orders. Most insect order names end in ptera, which comes from the Greek word pteron, meaning wing. While each group has similarities, there are features that make an insect order distinct from the other orders. For an insect project that uses collection, trapping, and photography, see "The Creepy Crawly World of Insects"
As a team, you will be gathering information about different species of insects. There are many websites that give information about insects, but it is important that you don't just copy information. For each insect, you will submit a notecard with handwritten information about your bug, and recording where you gathered the information from. You may want to designate each person in the group do a separate insect and then regroup to discuss findings and organize information. Check with your instructor for the number of species that will need to be included in your team publications. Generally, each person in the group will be responsible for one or two insects. 4. Where does it live? 5. What does it eat? 6. Is it a pest insect? What is its role in the world or ecosystem? 7. How does it reproduce? Poster - Create a digital poster online at http://poster.4teachers.org This poster will contain all the information you gathered in an organized way and include at least one photo of each of the insects. Cite your sources and include links to information on insects. 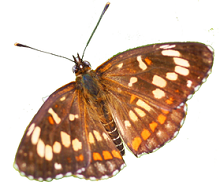 Webpage - Use google sites or other platform to creat a webpage that showcases your insects. Organize insect information, include photo(s) of insects and cite sources. Museumbox - this platform is similar to a webpage, but allows you to create dynamic flash pages with images and information. Organize insect information, include photo(s) of insects and cite sources. Presentation - Use prezi or powerpoint to create slides of your insects with information. Organize, include photo(s) of insects and cite sources. **Other options may be available, check with your instructor. *Instructor note, you can grade these as individual projects (per insect) or as a group project for all insects.